The police in the normally quiet parish of Trelawny are working around the clock to keep a lid on serious crimes, including murders, in the parish, which has recently been threatening to escalate out of control. The murder tally in the parish has shot past the 21 recorded for the entire 2017 by at least five. Among some of the recent bloodshed registered in the parish was the unusual killing of 43-year-old taxi operator, Garfield Bynloss, who was reportedly shot around the wheels of his motor vehicle following a domestic dispute with another man in Falmouth. Since then the police have charged 52-years-old accountant, Phillip Whittaker, with murder. Reports were that about 11:00 p.m. on Thursday, November 8, 2018, Bynloss was shot and killed by the accused during a dispute along Cornwall Street in the vicinity of a gas station. The deceased received gunshot wounds to his face and other upper parts of his body. He was taken to the Falmouth Hospital, where he was pronounced dead. That killing came while investigators were probing the brutal murder of 50-year-old businesswoman, Jacqueline Cargill-Gardener, at her place of business, also in Falmouth. 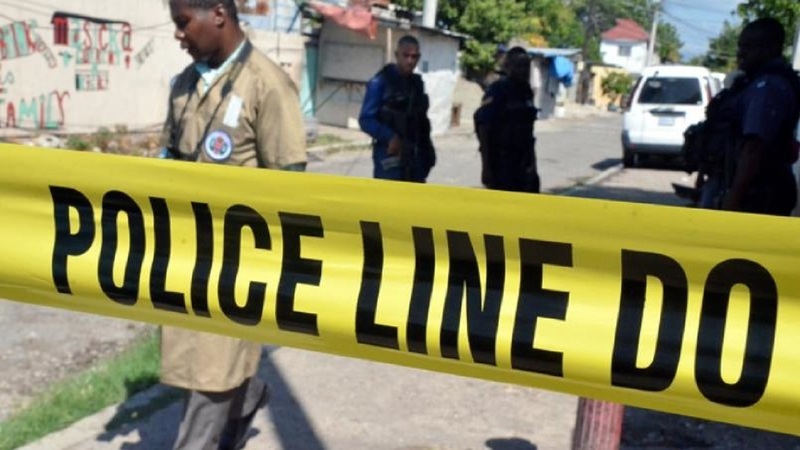 Gardener, who operated a carwash and a wheel alignment station at premises in the Trelawny capital, was shot and killed by two gunmen, suspected to be contract killers, who swooped down on her. However, before the shooters could make good their escape, they were challenged by a licensed firearm holder. A gun battle ensued between the ‘hitmen’ and the licensed firearm holder. The two gunmen and the driver of a car which transported them to the business establishment, fled the scene on foot, leaving the vehicle behind. During an extensive search of nearby bushes by the police who were called, two men, later identified as St James residents, 31-year-old Phillip Grennion of an Albion, Montego Bay address; and a 29-year-old man of Tower Hill, Unity Hall, were found suffering from gunshot wounds. They were taken to hospital, where Grennion was pronounced dead and his alleged accomplice admitted and placed under police guard. Grennion had been reportedly on the police’s radar in St James for some time. The third suspect subsequently obeyed the orders of the Trelawny police and surrendered himself. He has since been charged in connection with the businesswoman’s killing. During a recent press conference at the Falmouth Police Station, Acting Commander of the Trelawny Police Division, Deputy Superintendent Winston Milton, disclosed that the police in Trelawny are on the lookout for migrating criminals fleeing the bordering parish of St James, which has been under a state of emergency since January 18 this year. The press conference was held following the killing of two reputed members of the infamous Ski Mask Gang and an unidentified man. Listed among dead were the leader of the gang, 31-year-old Adrian ‘Lippy’ Walker, and his lieutenant, 37-year-old Robert Miller. The Ski Mask Gang was formerly roosted in Barrett Town, St James, but was dismantled after six of their members were killed during a joint police/military operation in a section of that parish in January of this year. But remnants of the gang resurfaced in a Trelawny community, where they drove fear into residents with their nefarious activities. Up to recent years, the parish of Trelawny was considered one of the most peaceful parishes locally, but that outlook has been changing sharply.